Website.com offers everything you need to get started building your website, whether for personal, business or portfolio use, or even for setting up your online store. What’s more, all of this is done with no knowledge of coding or website design. 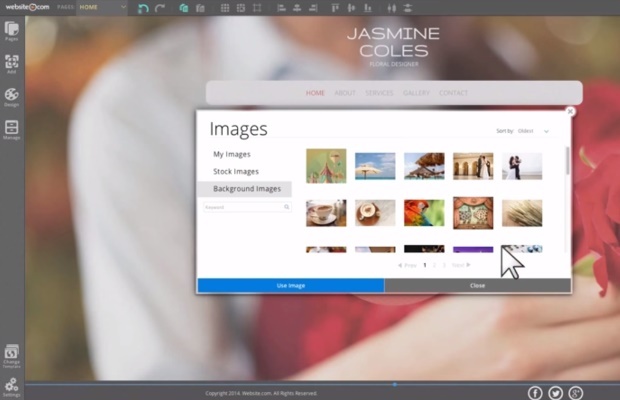 Simply use the drag and drop editor and the intensive image gallery feature to build your dream online presence, and customize it according to your brand or your mind’s eye. Website.com makes it easy to begin building your website. Simple choose a template from their hundreds of gorgeous and customizable designs, categorized for business, personal sites, portfolio websites or Ecommerce, and begin building. Add your content, with drag-and-drop functionality for images, text and add-ins, and include personal touches like a business logo or social media sharing buttons. With top notch security features, product listing options and shopping cart features, you’ll be impressed by Website.com. 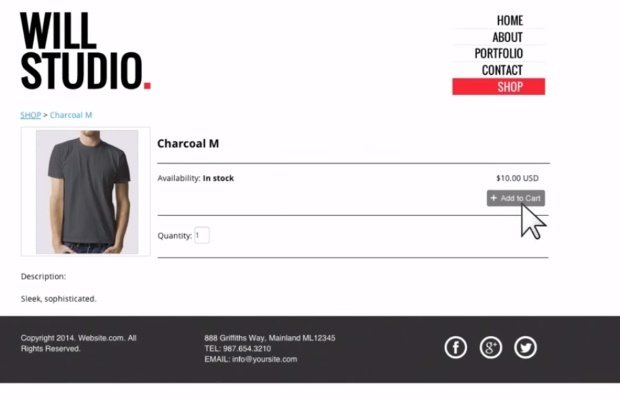 You can even choose whether your storefront is simply a product catalogue, or a functioning online store to take orders and payments. Website.com wants to give you more for your website. Ready-to-go apps and widgets can be dragged and dropped directly onto the page, eliminating the need for complex coding or any back end design on your part. These include Google Maps, Pinterest, Audio and Video players and even PayPal and eBay widgets. Social Media integration such as Facebook Like or Share button and Twitter Feeds are also ready to go. Any other feature you want to add, simply copy and paste the HTML code. In this way you can add extras such as Instagram, QR codes, custom countdowns or calendar devices, and compatibility with other social networks such as LinkedIn. Website.com also comes with inbuilt website tracking tools and in depth analytics. Website.com has an extensive help section, including easy to follow video tutorials on almost every option they offer. Simply navigate to the page features for the type of site you are building, and you will find a video tutorial or demo heading the page. FAQ and support topics are also provided, with answers divided into topics so they are easily navigated. If you have an account-related question, or more complex questions you can contact customer support via email by completing the online form. Usually, this ticket system is efficient, and enquiries are answered in a few hours with personalized rather than generic responses. This company is based in the U.S. so you can always call customer support and speak to a representative in working hours, Monday-Friday 8am-8pm PST.